Working with a tax lawyer may be able to help you minimize the penalties you face if you fail to file your taxes. There’s an old saying that “In this world, nothing can be said to be certain except death and taxes.” Yet some people still try to cheat both. Unfortunately, if you try to cheat your taxes by either not filing, you may face severe repercussions both financial and legal. And don’t think that the IRS won’t ever find out. You may think you are in the clear until you get notified of your IRS audit or criminal investigation, and the penalties and interest will have compounded over time. As soon as the April 15 deadline passes, you will start incurring a penalty and interest for not filing your taxes. The penalty is 5 percent of the taxes you owe, and it is charged every month. The penalty is capped at 25 percent. If you are putting off filling your taxes because you are not able to pay what you owe, know that the penalty is much less for non-payment than it is for failing to file. You’ll only pay 0.5 percent to 1 percent of the amount you owe each month if you fail to pay, capped at 25 percent. If you fail to file and pay your taxes, the IRS will assess both the late filing and late payment penalties, which can add up quickly. If three years have passed since your return was due to be filed, you will lose the right to your refund. Don’t try to use Uncle Sam as your savings account. File your taxes when they are due. The IRS may decide to file a return on your behalf if you don’t file yourself. This is called a substitute for return. Know that the IRS will not be filing with your best interests in mind, which means that the return may not take into account all the credits for which you are eligible or all the deductions you have. You may end up overpaying on your taxes as a result. A tax lawyer can help you file a return if the IRS files on your behalf, but this is a step you don’t want to have to go through if you can avoid it. If you fail to file and you owe money, the IRS can seize your property or rights to property. The IRS may garnish your wages, seize future refunds, or may even seize property such as your home, bank account or car. The IRS can seize the value of what you owe for taxes in addition to the penalties and interest you have been assessed. The ultimate penalty for failing to file or pay your taxes is Indictment. This is a measure of last resort, and usually many attempts have been made to contact you and get you to file or pay. Work with a tax lawyer long before this step takes place. If you fail to timely file your tax return, you will most likely not be able to wipe out your taxes in bankruptcy. 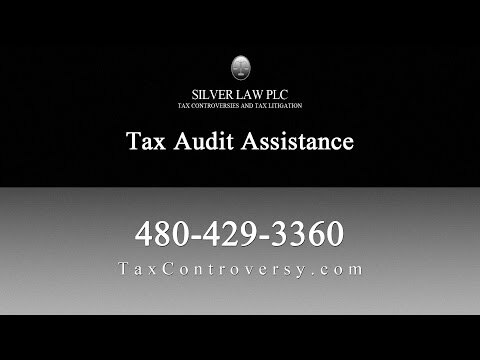 Silver Law PLC can help you if you are facing penalties for failure to pay or file, if you have received an unfavorable IRS audit, or if you are facing criminal charges. Working with a lawyer can help you minimize the penalties you face or even have them dismissed. Call us today to discuss your case and learn how we can help you.